Collecting backyard (or front or side yard) worms is a great and free way to get the worms you need for your worm bin. 1.It must be a certain type of worm like from the Epigeic group. These are composting worms. 2.They will only be at the top surface where decaying matter is and not down deep. 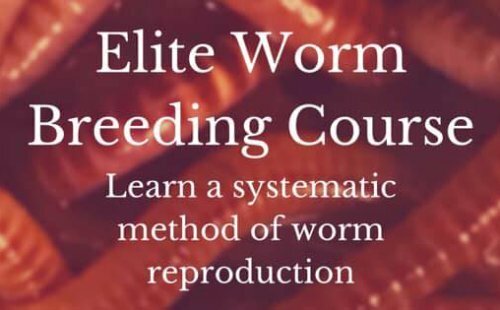 3.You are better off starting out with what you know is a composting worm and usually a certain species like the red wiggler or the European Night crawler. With all this being said, You will probably start out slow and go through some trials and errors at first. Not that there's anything wrong with that as long as your expectations are low and you stay excited. This can be a very fun thing to do. You will most likely end up with a mixed species and then one will gradually take over. Although, you will not know which one it will be and you will surely want the most prolific and hungriest of species. This is why a lot of people just order a pound or so. They know exactly what they're getting with no worries. If you want to collect your worms from your yard then use this website as a helpful guide in identifying your worms.